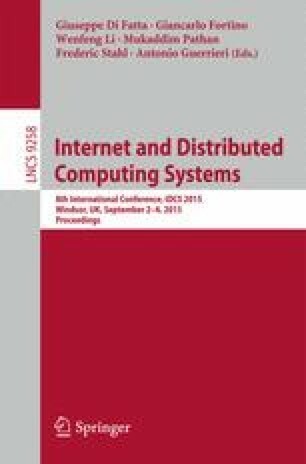 This paper presents a holistic approach to execute tasks in distributed smart systems. This is shown by the example of monitoring tasks in smart camera networks. The proposed approach is general and thus not limited to a specific scenario. A job-resource model is introduced to describe the smart system and the tasks, with as much order as necessary and as few rules as possible. Based on that model, a local algorithm is presented, which is developed to achieve optimization transparency. This means that the optimization on system-wide criteria will not be visible to the participants. To a task, the system-wide optimization is a virtual local single-step optimization. The algorithm is based on proactive quotation broadcasting to the local neighborhood. Additionally, it allows the parallel execution of tasks on resources and includes the optimization of multiple-task-to-resource assignments.